Get clear on WHO your ideal customer is, where they are hanging out, what their challenges are. Building a customer avatar (some call it a buyer persona) will have a huge impact on your marketing, because you'll finally have clarity on who you're speaking to, what to say to them, and where to target them online. 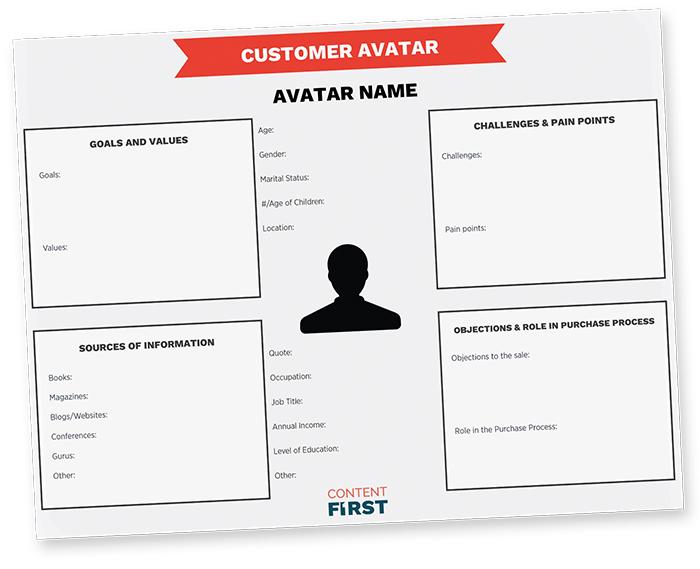 Creating a customer persona has never been easier that now easy with our interactive PDF template.